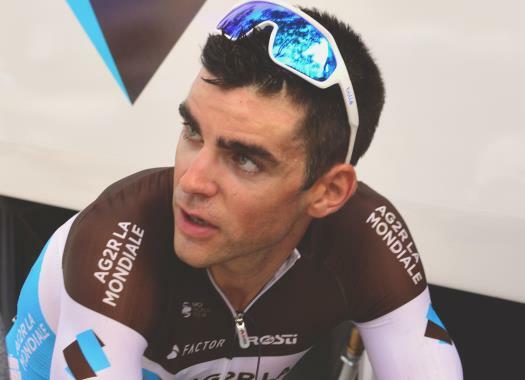 AG2R La Mondiale has chosen its line-up for the upcoming Tour de la Provence. Tony Gallopin is prepared to start his season in the French race. Gallopin has the Giro d'Italia as one of his main goals of the season and thinks the French race is a good place to start his preparation ahead of the grand tour. "Since I'll be racing the Giro d'Italia, I have modified my approach to the season," he commented. "The Tour de la Provence will be my first race and is a perfect place to start the season again. Four days of racing over hilly courses and looking for good weather as well as a time trial in the mix will help me regain the feeling of competition." The Frenchman hasn't been in competition since September of 2018, when he raced in the road race of the World Championships, and can't wait to test his form. "Of course, after a long break, we always ask ourselves how is the form, but I am not worried," Gallopin said. "Last year I came with six days of racing in the legs and still placed second overall. And this past winter I had no problems." Gallopin already has in mind the next races he will be taking part of in the near future. "Before heading to the Giro, I will go to UCI WorldTour races like the UAE Tour (Feb 24-Mar 3), Paris-Nice (Mar 10-17), and the Tour of Catalonia (Mar 25-31) before taking part in the Tour of Flanders (Apr 7)." The Tour de la Provence will mark the debut of Dorian Godon with the French formation.